Rabdi is a popular traditional Indian dessert. 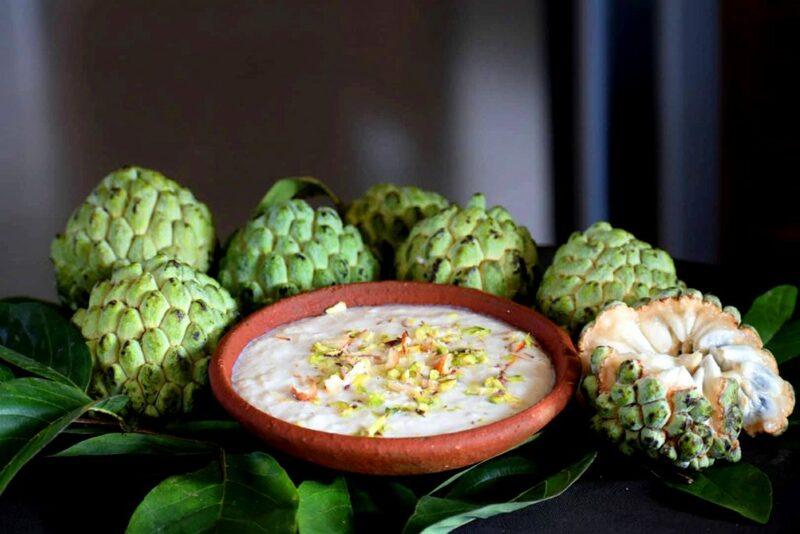 Sitaphal or Sharifa, also known as custard apple, is an interesting ingredient to sweeten the rabdi with seasonal fruit instead of using additional sugar. Come October, this exotic fruit is available across Central India. 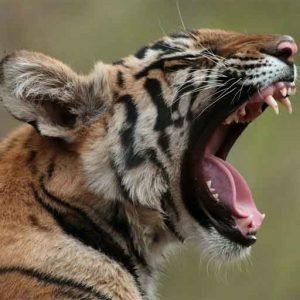 If you are lucky you can see it even in the jungle while on a safari. How to Make Sitaphal Rabdi. Find the complete instructions. De-seed the custard apple and keep the pulp ready in a bowl. Heat milk in a heavy bottomed pan. Once the milk comes to a boil, lower down the heat to keep the milk simmering. Keep stirring occasionally to avoid burning the milk from the bottom. Let it simmer until it reduces in half. Cook until the milk thickens a bit more and remove from heat. Cool at a room temperature and add the pulp of the custard apple and mix well. Before serving, garnish with finely cut almonds and pistachios or any other dry-fruits of your choice. Posted on November 30, 2017 by pugdundee blog. This entry was posted in Food, Recipe and tagged culture, food, Indian desert, jungle., local food in pench, Maharashtra, sitaphal rabdi, tradition. Bookmark the permalink.